Mercure Sohar welcomes travelers to the ancient capital of Sohar, credited as the mythical birthplace of Sinbad the Sailor. 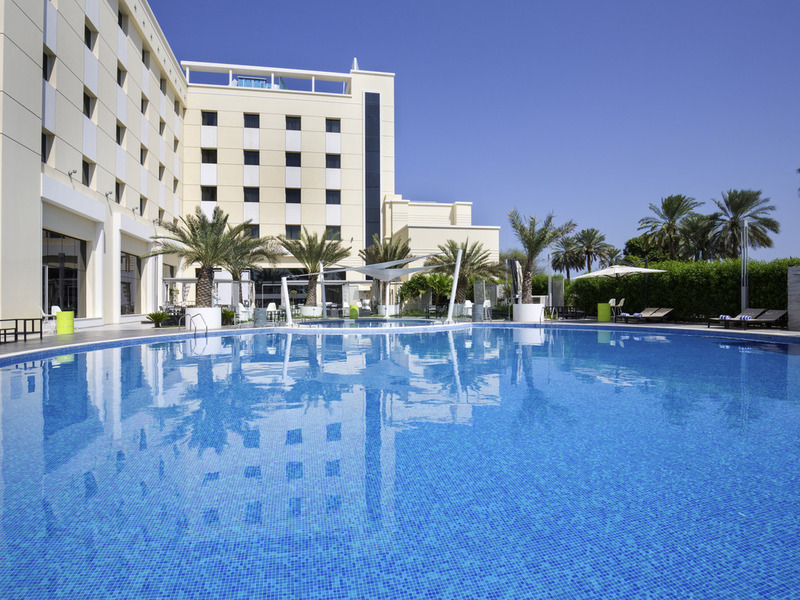 Nestled between Al Hajjar mountains and the Sea of Oman, the hotel offers 152 Rooms; 141 Chic Standard and Superior rooms, 5 well-designed Suites, 1 Family Suite with 2 bedrooms and 5 rooms for persons with reduced mobility. With a pool or garden view, our stylish and comfortable rooms are fully-equipped with the latest facilities and technologies for your convenience. A unique contemporary dining experience offering breakfast, lunch and dinner. Either buffet style or just A La Carte for a salad, sandwich or grilled fish, with a constantly evolving menu perfect for business meetings as well as less formal occasions. Melt Bar offering an a la carte menu that can be perfectly combined with a wide selection of beverages are served in this nature-inspired setting.